Liquid liner became part of my everyday make up look about a year ago and during that time I’ve tried about 15489 different liners (slight exaggeration, what I’m trying to say is I’ve tested a lot). 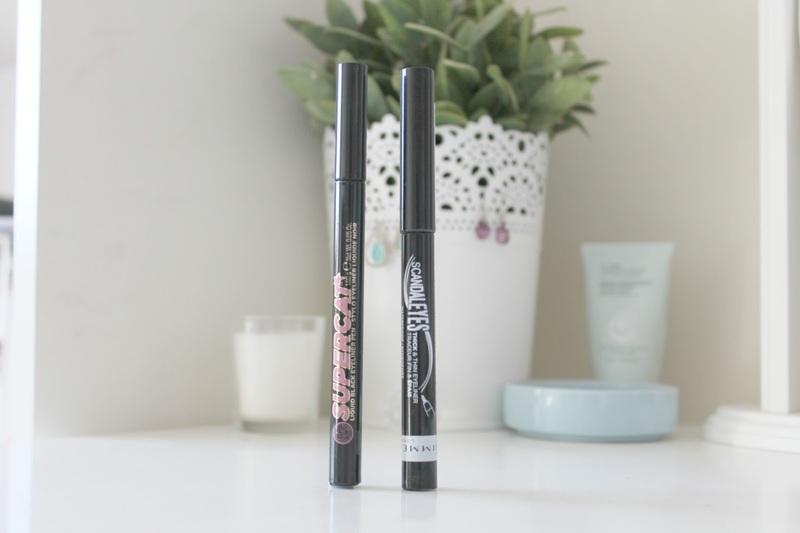 I thought I’d do a post today comparing a couple of the eyeliners I’ve found to work best for me in the hope that it will help anyone else still on the hunt for the perfect one! Liquid liner has never exactly been my forte and I struggle on a daily basis to get the wings even and not looking ridiculously wonky (so far I’m still fighting a losing battle *sighs*). The Supercat liner from Soap and Glory has made my daily attempts at liquid liner SO MUCH EASIER and I no longer have to sit for 10 minutes each morning (internally) crying at a black smudged line across my eyelid. The nib of this liner is really thin and precise meaning it's far easier to control the line your creating and a thin classic line can be easily drawn as well as a thicker more dramatic flick :) I absolutely love the packaging of soap and glory too so this is definitely a winner for me! It's also a really affordable product (£6.00) and 100% the best liquid eyeliner I've tried and makes applying it so much easier! Next up is the ScandalEyes liner from Rimmel which is even more affordable £5.49! When I first bought this product I loved it however as it started to dry up the nib was far more difficult to work with. 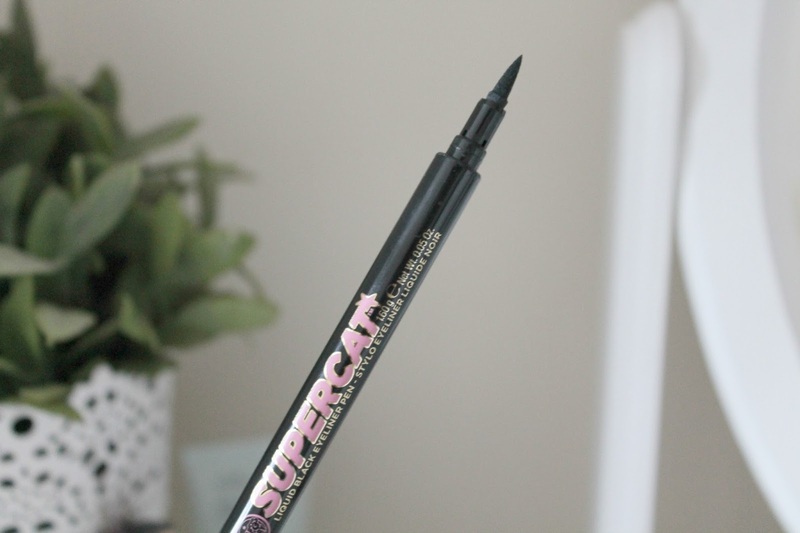 It is far thicker than the Supercat liner so it's a little more difficult to create thin lines but the black is very intense and so does create a really dramatic look! 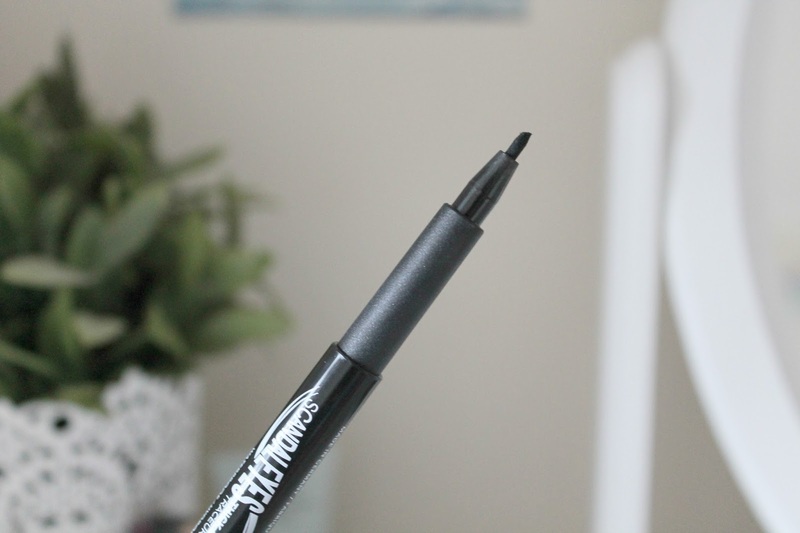 I think if you're looking for a cheaper liquid liner then this one would do the job but I definitely found this to dry up quite quickly so I probably won't be repurchasing. The staying power of this liner is probably a 8/10 and I did find it to last most of the day without budging which makes it even more impressive for how affordable it is. Let me know if there are liquid liners you've tried from the drugstore and loved; I'd love to try some more!